A visual artist based in New York City, Sarah Oppenheimer creates work that spans the disciplinary boundaries between sculpture and architecture, performing architectural interventions in order to examine social constructions in the built environment and play with perceptions of space. Her sculptural interventions disrupt the architecture of the exhibition space by physically displacing the conventions of the built environment. Her calculated excisions of prototyped building planes — walls, floors, and ceilings — challenge our understanding of architectural space. Oppenheimer’s work both disorients and clarifies our physical and perceptual experience of the architecture that surrounds us. 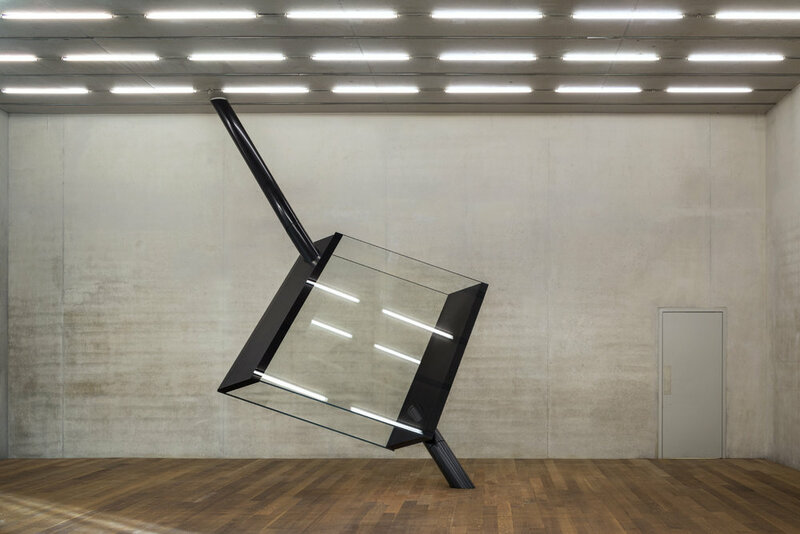 Sarah Oppenheimer's numerous solo exhibitions include MASS MoCA (upcoming 2019), the Wexner Center for the Arts, Columbus, OH, Annely Juda Fine Art, London, Mudam Luxembourg, the Perez Art Museum, Miami, Kunsthaus Baselland, Basel, Von Bartha Garage. Basel, Baltimore Museum of Art, P.P.O.W. New York, Rice University Art Gallery, Houston, TX., Art Unlimited @ Art Basel, Duve Berlin, the St. Louis Art Museum, Youkobo Art Space. Tokyo, Queens Museum of Art, NY, and at The Drawing Center, New York. She has been the recipient of many awards, including the 2013 Anonymous Was A Woman Award; a 2010–11 Rome Prize Fellowship at the American Academy in Rome; a 2011 Joan Mitchell Foundation Painters and Sculptors Grant; a 2009 Louis Comfort Tiffany Fellowship; a 2007 Guggenheim Fellowship; a 2007 American Academy of Arts and Letters Award in Art; and a 2003 Rema Hort Mann Fellowship. In 2014-15, she was Artist in Residence at the Wexner Center for the Arts in Columbus, OH.